I know that probably most of you love a series that contains suspense, action, betrayal, passionate love, freedom and fear, just like Homeland, The Walking Dead, Breaking Bad or Game of Thrones. I too love those series! 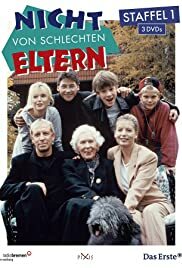 But nevertheless my most favourite TV-series is about a more or less "normal" family in Germany. About a father, who works as an officer at the Navy and is the reason, why the whole family has to move so often. About a mother, who wants to teach again and has to deal with all the problems that pop up when you're at the same school as your kids. About the four Children, three boys and a girl, who couldn't be more different but who always stick together when something happens to the other ones. And last but not least about a grandmother who always feels a little bit like an outsider and tries to hold the chaos together. There is (almost) no blood, (almost) no betrayal, (almost) no suspense or action. Nobody has to fight for their lives, but there sure is a lot of (passionate) love, a lot of tears and problems to solve (the one way or the other) and that's the reason why this series is just so absolutely great! 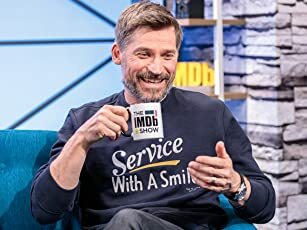 Because it manages to put so much humor, wise saying and lovely and heart-warming characters in every episode so that you never get bored, even if nothing much is happening. So if you haven't seen it yet, you better go ahead and watch it! I promise you won't regret it!